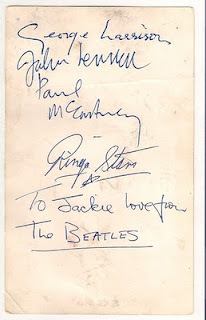 Do you remember this early promotional card that I wrote about in January, where George had signed for the rest of the band? George has signed his surname with a lower case H, this is common with early sets of signatures. 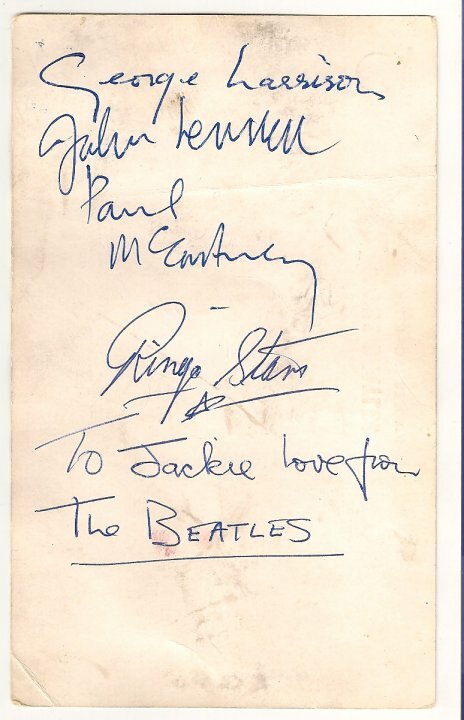 This set of autographs carries an estimate of £2500-£3000 so you can see when compared to a partial set like the one in the last post, that missing just one Beatle can make a lot of difference.